Exciting start of the year 2019 for Women in Super member Natalie Lister: the 40 year old Finance Manager and mum as well as step-mum of six children has won the first Women in Super VIC and Monash Business School "Your Leadership Voice" Scholarship worth almost $10,000. And who wouldn’t be excited about the opportunity to win a scholarship that enables you to take part in the “Your Leadership Voice: Women in Focus” program – a standout seven-day course for female leaders spread over five months – offered by Monash University’s well regarded Monash Business School? Last year, after a highly successful and booked out WIS Melbourne event with the two main facilitators of the program, Professor Anne Lytle and Sharon Longridge, Director of Purusa Consulting, Women in Super VIC in conjunction with Monash Business School, for the first time launched the “Your Leadership Voice” scholarship. The intense program is valued at nearly $10,000 and will provide attendees with the tools, techniques, support and self-confidence to stand out and step up to a leadership level. One of the main focuses is the training to become an exceptional communicator – driving conversations with impact, and an outstanding negotiator whose voice will be heard in any situation and under any circumstance. Both skills are essential for leaders and are often skills that women in particular are unsure of and uncomfortable with utilising. When she heard about the Women in Super and Monash Business School “Your Leadership Voice” scholarship, Natalie immediately felt it was exactly right for her at the current stage in her career, and her life in general. 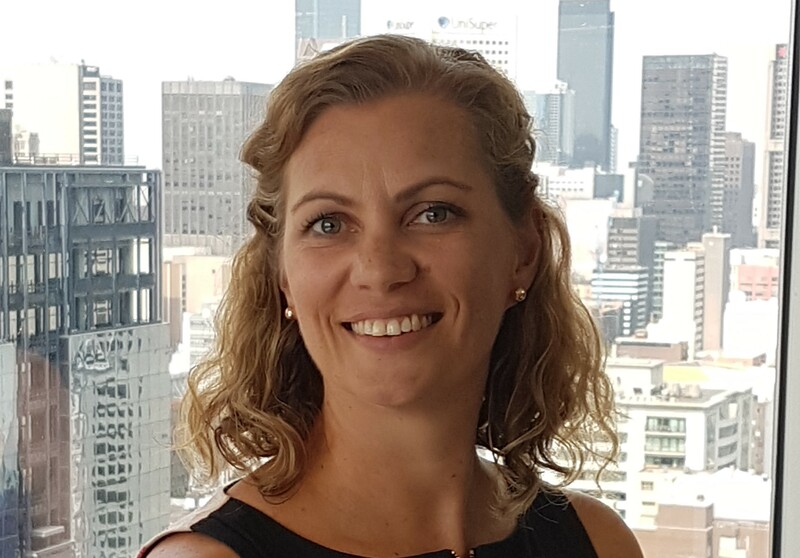 “I have always wanted to become a role model for women in the superannuation and finance industry,” she says and explains that she applied because she thought that the course would enable her to grow into a confident leader to do exactly that. After working for a large accounting firm straight from university, continuously furthering her studies, and gaining diverse work experience in her roles with Industry Fund Services over the past 15 years, her dedication and commitment are sure to prepare the 40-year-old Melbournian for taking on a leadership role. However, as Natalie admits, there had always been one thing holding her back to do so in the past. Something many women can relate to: a lack of self-confidence. Natalie: “I am generally a confident person however my internal dialogue will sometimes prevent me from, for example, contributing to discussions. I have always dreaded public speaking and want to overcome my fear of it. I often wonder how I could ever become a future CFO or CEO if I don’t have the confidence to make a killer presentation,” she adds. Choosing Natalie, who is by the way, also a qualified dancing teacher and sometimes manages to attend classes at an adult ballet school when she has a spare moment, as the scholarship recipient from 20 Victorian Women in Super members, was a very hard decision for the selection committee as all applications proved to be of a high standard. However, Natalie’s was the most outstanding one. Natalie will be formally presented with the scholarship at the After Work Networking event on Tuesday 19 February.